Jan. 30, 2019, 7:02 p.m. This year, at Lan ETS we introduce all kinds of novelties! 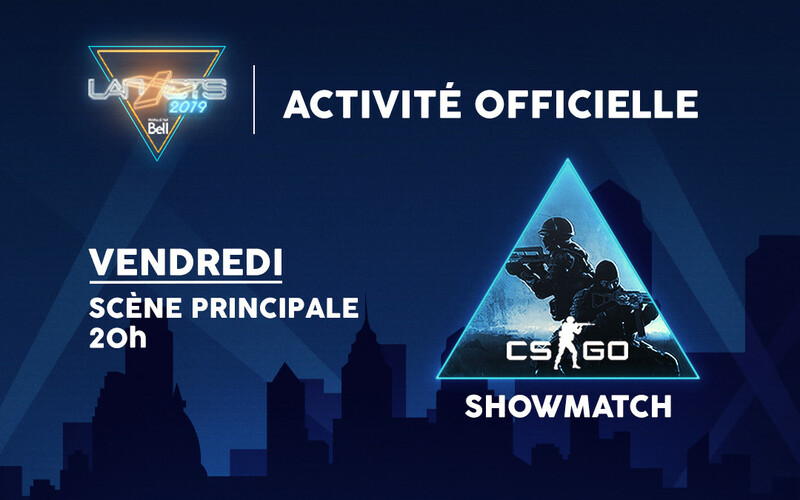 In collaboration with the #ONJOUE initiative, we are organizing a Showmatch CS: GO! #ONJOUE is a brand new Quebec community of Counter-Strike: Global Offensive. The idea is to bring together CS: GO players to develop local talent and promote the scene in Quebec. - OPEN QC: a division open to all that will allow the best-ranked to access the ELITE QC division. For the official launch of the #ONJOUE community, we invite you to participate in a showmatch organized at Lan ETS on Friday evening, February 8, 2019 at 8:00 pm. The match will take place on the main stage, and will be commented live, with well-known players: Missharvey, Subroza, Effys, CAth, Huynh, MkaeL, INCREDIBLE, M3Lio and ... two lucky! Surprise! Two players will have the chance to participate in this showmatch. How? Just qualify by playing on the FACEIT OPEN QC hub to finish in the top 2 as of February 6 at 11 PM. Of course, we must also be able to move to Lan ETS on the 8th! Join now the Discord #ONJOUE and OPEN hub QC to win your place! RULES OF THE #ONJOUE HUB! -Create an account on FACEIT (https://www.faceit.com/), install the anti-cheat and join the HUB OPEN QC (https://www.faceit.com/fr/inv/LL8y5ON). -Join Discord ON PLAY to be able to communicate with other players on your team (https://discord.gg/pTzDYmS). -You must understand French to participate in CS: GO games.